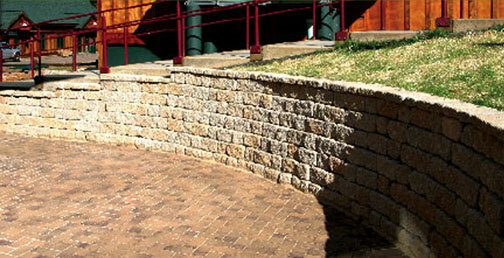 SELECTedge Units are a uniquely simple concept in beautifully decorative landscape edging. The modular, trapezoidal shape of each SELECTedge Unit offers endless design possibilities, giving you unlimited flexibility in planning your borders. And SELECTedge's natural scale, color and good looks blend perfectly with any landscape. Installation's a breeze, too. Unlike hard to straighten coiled plastic edging, SELECTedge Units won't bend or break and are easy to handle. Weighing less than 4 pounds, each unit fits comfortably in the palm of your hand.